0	0	More Christmas Wrapped Up! In Stock - Order before 4pm for same day dispatchWant it on Wednesday 24 April? 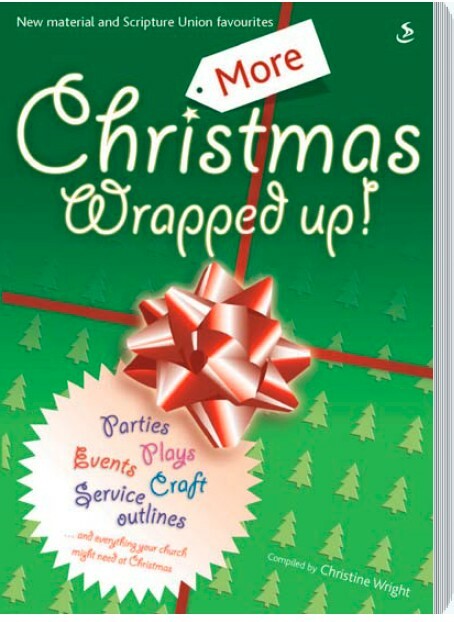 Includes service ideas, dramas, songs, rhymes and raps, quizzes, assembly outlines, crafts and games to help you make the most of Christmas in your church, children's groups, local schools and clubs. Need even more inspiration for this year's Christmas all-age services? More Christmas wrapped Up! follows on the heels of the best-selling original book in this series, Christmas Wrapped Up! This exciting sequel provides churches with a wide range of Christmas activities for use at a time when non-churched people are more likely to go to a church. All-age service outlines, parties and events give churches help to make the most of this oppurtunity. The children's party outlines, craft ideas, games and quizzes help children explore the Christmas story through different media. More Christmas Wrapped Up! by Christine Wright was published by Scripture Union in August 2007 and is our 3691st best seller. The ISBN for More Christmas Wrapped Up! is 9781844272617. Buy Together Offer for More Christmas Wrapped Up! Reviews of More Christmas Wrapped Up! New material and Scripture Union favourites: Parties, Plays, Events, Craft, and Service Outlines. The activities and illustrations in this book, may be photocopied for use. After the introduction there are Short Talks for Evangelism: Events and Parties: Short Talks for all ages: Assembly material: All-age services and much more. Everything you need, to help you use this book to best advantage. Got a question? No problem! Just click here to ask us about More Christmas Wrapped Up!. Details for More Christmas Wrapped Up!